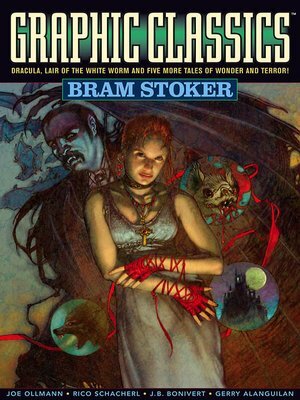 Graphic Classics: Bram Stoker is completely revised, with an all-new comics adaptation of "Dracula" by Rich Rainey and Joe Ollmann. Returning from the first edition are "The Judge's House" by Gerry Alanguilan, "Torture Tower" by Onsmith Jeremi, and "The Lair of the White Worm" by South African artist Rico Schacherl. Also "The Bridal of Death," an excerpt from "The Jewel of Seven Stars" by J. B. Bonivert, and "The Wondrous Child" illustrated by Evert Geradts. With a sumptuous cover painting by Mark A. Nelson.